Registration for fall ends August 31st! Don’t miss the deadline. Register today and get started on your book now. Live Sessions start in September! It’s time to share your message. God gave you something to say. …have a story of an amazing personal experience journey with nuggets of wisdom that could really help someone, right now. but also laced with themes and messages close to your heart. … want to be able to increase your impact and influence in your field by writing a book that increases your authority, attracts quality clients, and adds to your passive income stream? No more waiting, the time is now. And there is even more. My life totally changed once I began publishing and adding books to my bank of career assets. A book is one of the most powerful tools you can create, not only for yourself, but it could quite possibly be just the thing to help someone else out there, RIGHT NOW! Do you have a business you want to promote? Writing a strategic book that attracts business is one of the best ways to solidify yourself in your field. Written correctly, you can 10x your business by generating and qualifying your leads. 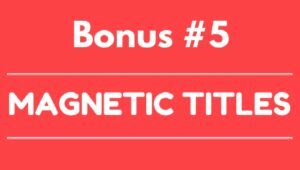 Remember, this is bigger than your first book, BOOK POWER is an entire system you can re-use for as many books as you like! It’s a business in a box to support your writing dreams and desired lifestyle for as long as you want. Do you want to tell your family story? Would you like to leave a written legacy for your family? Imagine your great-great grandkids getting to hold a book you wrote. There’s nothing more powerful than knowing from whence you came. Give your community and family that gift by writing your book. 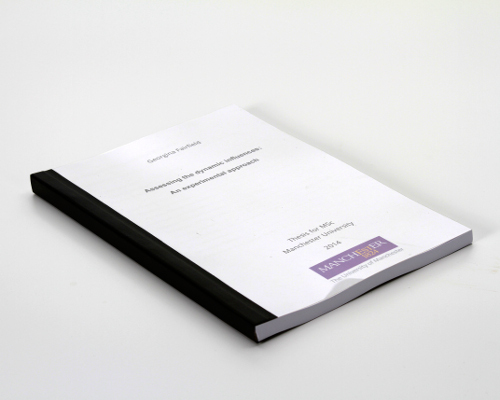 IT DOESN’T TAKE YEARS TO BECOME A PUBLISHED AUTHOR. IN FACT, HAVING YOUR BOOK OUT THERE FOR THE WORLD TO ENJOY & BENEFIT FROM IS EASIER THAN IT SOUNDS. Before I show you how, let me tell you a little bit about myself and why I’m confident I can help you achieve your writing dreams. 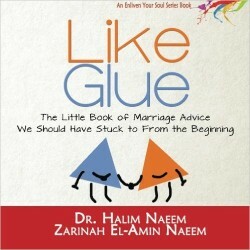 My name is Zarinah El-Amin Naeem and I am a self-publishing consultant and cultural specialist. As an anthropologist, my motivation is to create bridges between and amongst diverse populations. 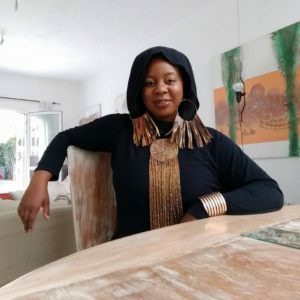 That is why in 2009, I founded NIYAH, an independent publishing, consulting and creative living company that gives much needed voices a system to follow so their voices can be heard. Through Niyah, I help people who have important messages to share publish books that leave a legacy and generate multiple streams of income. How do I find an editor? How do I get a quality cover design? I know. Sometimes it’s hard to know where to begin. I’m going to be honest. Publishing a book isn’t rocket science. It’s not even as hard as that physics course I struggled with in college. But it’s tedious and if you don’t know what you’re doing, you can end up wasting time and money, or worse, just getting overwhelmed and not finishing your book at all. That’s what BOOK POWER is all about. We hold your hand through it all. I love books but I was never an insider into the publishing industry so believe me, when I decided to publish a book, I felt overwhelmed and confused like you probably do too. 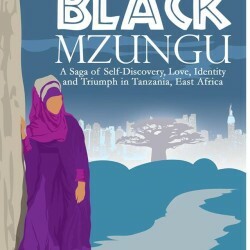 My first book came about when I decided to turn my Masters anthropological thesis on Singlehood in the Muslim Community into a published book and as I said, I had NO clue what to do! All I knew was that people were asking for my results and I wanted to provide the easiest way for them to learn more. I knew a book was the way to do it but I didn’t have any authors or publishers in my network. I wasn’t even sure of the differences between publishing with an outside publisher or self-publishing. So what did I do? I bought and read every book I could on publishing. I hit the internet and spent months scouring publishing and writing blogs. I joined publishers’ associations and took publishing courses. 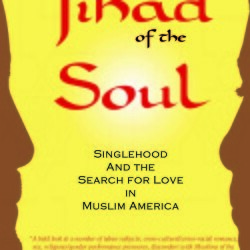 In the end, I was able to publish my book, Jihad of the Soul: Singlehood and the Search for Love in Muslim America. And boy did I feel accomplished! The book debuted at a conference in Philadelphia and was a hit. Word grew organically and that led to my book being selected as a university textbook for comparative religion and anthropology courses. Success! But boy oh boy was it hard! My piece-meal approach to publishing caused me to waste a lot of time, and a lot of money. I was completely overwhelmed with trying to figure it all out on my own. I would read one article and implement that strategy, and then read another and follow that. It was a crazy and time-consuming process. After that I said no more! With a new babies in my life, I couldn’t afford to waste time. For my next book and publishing projects, I sat out to streamline the process. After this long-winded journey, I’ve figured out the essential steps any author can follow to quickly write and self-publish their book. And now, I’ve distilled my 8 years of publishing experience down to a simple, easy to follow system so that you can publish your book in a matter of months, not years. BOOK POWER is your secret weapon to save time and money with your book. No more guessing. No more confusion. No more wasting time. Each online training covers exactly what you need to do so there’s no guessing or overwhelm on your part. Learn how to build up your inner author armor and handle the unique challenges authors face. If you’ve been looking for support, this is it. Connect with other like-minded movers and shakers from across the globe who are rocking it out just like you. Even if you prefer working alone, you’ll find you’ll receive a lot of value by being connected to a group of powerful leaders. From writing your draft to finalizing the cover to distribution, we walk you step-by-step through the publishing your book. No more guessing or trying to google what to do, we hold your hand throughout the entire process. Everything from our live Q&A sessions to the training materials are recorded and available for you to access whenever you need. Our private members area allows you to connect with other dynamic folks from around the world. Find an accountability partner or just get support as you go along. Here you can ask questions 24-7. Interior Design Templates, budget spreadsheets, webinar scripts, we provide you with everything you need to finish your book (and launch a new stream of income if you so choose). 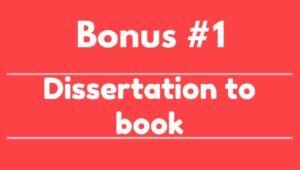 Learn how to QUICKLY convert your dissertation or thesis over to a readable, useful book for the public. Learn how to leverage social media without wasting your time. Learn how to quickly get your first 1000 copies sold. List of formulas from top copywriters and marketers on words, phrases and formula’s that attract readers. 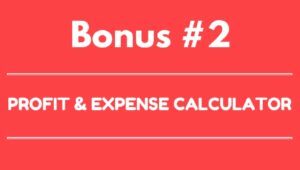 OVER $1200 in FREE Trainings that will help you make $$ fast with your book! Being an author places you in a position of authority. You’ve taken the time and effort to create something that many others just dream about. Think about it for yourself, authors are set apart from others in their field. Your book, whether 50 or 500 pages will do the same. Not happy with the state of the world? Being a published author gives you the freedom to create and implant messages that YOU feel are important for others to know. We know for a fact that every message we read, see or hear has the ability to affect the way we think. You owe it to God and the community to produce messages that contribute to a positive advancement of the community. Not only will the book be a source of income, the spin-off products you will create will bring in additional income for years to come. Whether you desire to create workshops, speeches, articles, or courses, your book is the platform and the BEST foundation you can have. Learning the self-publishing system allows you to create a quality product ANYTIME you choose. Once you know what to do, you can do it for as many books as you like. The Media love authors. Think about the last time you read a profile article or saw a talk show, the majority of the guests are introduced as “the author of the book ______.” Media outlets are always on the look out for quality content. Your book is material for them so tap into the power of their platforms. No matter your industry, your family and future generations WANT to know more about you. Imagine if 50 years from now, your great-great-great grands are able to learn more about you through something YOU left. How beautiful is that! Produce and leave knowledge for the world to benefit. Whether you want to publish in a few weeks or a few year, we’ll show you how to create a tangible plan to keep you accountable and break down the project into bit-sized chunks. And once you begin generating income with your books and possibly new career, all you need is a computer and internet connection and you can take your publishing anywhere you choose! That is powerful and definitely a plus to writing a book and building a publishing career. Most people know that I’m African-American, Black, Woman & Muslim – quite a combo in terms of politics and social justice right now, huh? In nearly all parts of my identity, I have people who try to deamean or diminsh my existence. We know the power of biased media. Many people are getting their information from negatively biased sources and WE ( good-souled folks) must provide a counter-narrative. This is about understanding the power of the written word and the power of cultural production and using your knowledge, your expertise, your wisdom, your BOOK, one of the most powerful tools to affect thinking known to man, as a tool for positive change. We have the responsibility AND the power to change the narrative. You DON’T have to be a great writer to have a GREAT book! 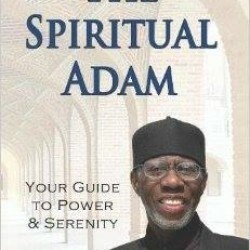 Imam Abdullah El-Amin created his book from a collection of old writings scattered in various floppy drives. He now has something to pass down to his children and share with the community. You don’t have to start from scratch! Brother Qamruzzaman sat on his project for over 15 years. 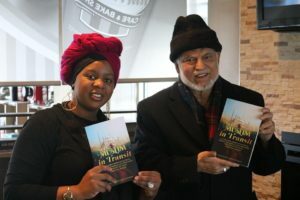 Through walking through our publishing system using the Niyah Book Dream Team, he published Muslim in Transit and has created a dedicated way to share his thoughts with the world. 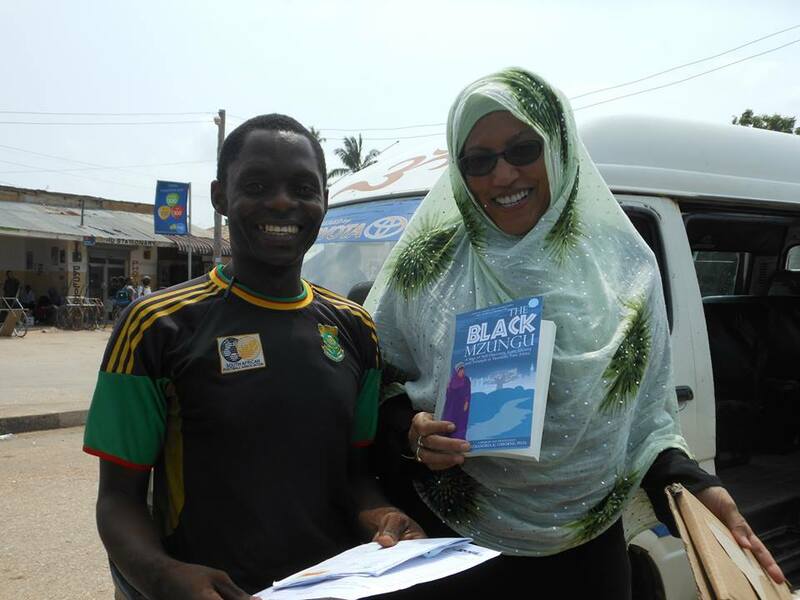 Dr. Osborn lives in a very rural area of Tanzania, but that didn’t stop her from writing the story of her retirement from corporate America and moving across the world to Africa. 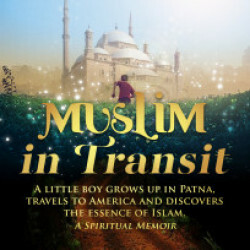 No matter where you are in the world, or what your experience is with writing, you too can produce a book that makes an impact. DON’T SUFFER TRYING TO FIGURE IT OUT ALONE. 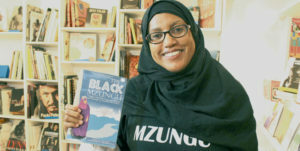 “I had been working on my memoir for about six years, off and on until I took Zarinah El Amin’s workshop on self-publishing using the Niyah Self-Publishing System (Now called Book Power). She made me realize I could publish my book with relative ease and without a traditional publisher. And she was right! Eye of the Heart was released in kindle, kobo and paperback on January 5, 2017 and can be purchased online at Amazon and Barnes and Noble. Zarinah’s workshop sessions were motivating and packed with information. She included several guest speakers with experience in writing and publishing. When I got to the all-important editing stage she had several editors lined up for me to choose from. 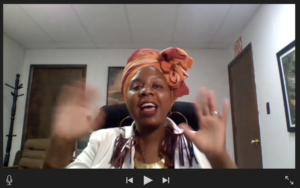 It was also wonderful to work with the Niyah Authors’ Group through our private Facebook page. I enjoyed the experience of partnering with a fellow writer to read each other’s drafts and offer constructive advice. But I feel I got the most benefit out of working with Zarinah through one on one phone sessions (we used google chat and Skype). She is a really good listener who has the ability to get behind the words and hear a potential author’s hopes, dreams and fears. Through her questions and comments she was able to help me realize which parts of my book needed to be cut and which sections were more interesting to potential readers. 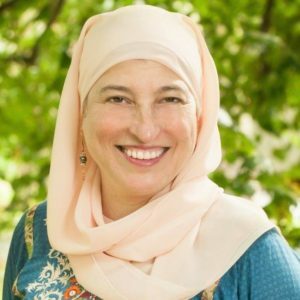 She helped me identify and connect with my audience. Sorry to be morbid, but tomorrow is not promised to any of us. The stars will never align perfectly and magically clear your schedule and give you all the “free” time you need. You’ve got to say I WANT THIS and commit. It all starts when you make the decision! You can either get some support, or risk being in this exact same place next year. Wishing you had written your book while others who join are finishing up. This is ONLY for the first 25 authors who join Book Power. With this session, you’ll be able to get one-on-one help to answer any of your questions and create your personalized action plan. Add this to BOOK POWER and you’ll be on your way to holding your book even faster! Each session is limited to only 100 authors. Don’t procrastinate and talk yourself out of getting the help you deserve. You want to write a book? 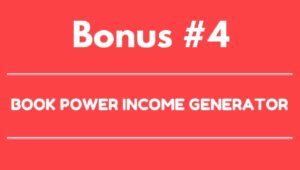 Join BOOK POWER today! Yes! I’m Ready to Publish My Book and Share My Message! In life you have people who SAY they are going to do something, and people who actually DO something. There’s a reason you’re reading this right now. 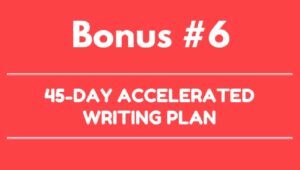 Join Book Power and get your book done! I'm revved up and ready to go! 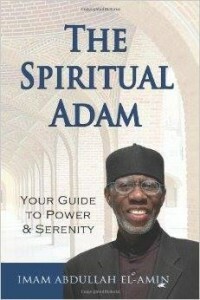 I understand that in BOOK POWER, I will receive all of the knowledge I need to write, edit and publish my book. I COMMIT to the process and plan to show up and get my book out to the world. * Payments start from date of checkout. How to organize your thoughts and write your book quickly even if you are not a good writer or know how to type. After this quick training, you’ll have more towards your book than you achieved in the past few weeks, we guarantee it! DO I NEED A FINISHED DRAFT? No. Even if you are starting from scratch, you can make this happen. If you already have a draft, you’ll be that much further ahead. IS THIS FOR FICTION OR NON-FICTION WORKS? I personally publish memoirs and non-fiction titles. This publishing system works for any book, fiction or non-fiction however fiction authors should know the training does not cover writing techniques such as character development, plot and conflict. The rest of the program works regardless of the content. 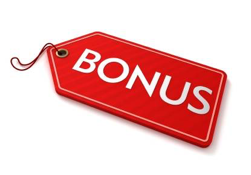 So if you are working on a fiction book, you’ll still get value. Our live classes will run in JULY and you’ll receive immediate access to our online vault of trainings which means if you are a go-getter, you can get started TODAY! Why waste time? DO I NEED TO BE A GOOD WRITER? You don’t have to be a good writer to share your message. Think about some of the many celebrities that have produced a book. Do you think they did it on their own? One word: EDITORS! We’ll show you exactly how to polish your book and make it shine. HOW MUCH TIME SHOULD I DEDICATE? Make up your mind that you want to get this done. You’ve waited long enough. I designed this to move you along in 45 days and you’ll want to dedicate at least 5-6 hours a week to this work. We’ll be moving fast because I’ve found that this process takes as long as you let it. Want to publish a book in 25 years, you can. Want to publish in 25 days, you can. It’s up to you. But with the course, everything is recorded. If you miss one of our live sessions, you’ll be able to watch it in your own time. Plus much of the training materials are on video which you can access anytime, 24-7. I am married with 3 children, a non-profit and 2 businesses. If I can write and publish a book quickly, anyone can. It’s more about your attitude and desire than anything. Part of being in this guided program is to walk you through the system so you don’t waste any of your precious time! After enrolling, you have unlimited access to this course for as long as you like – across any and all devices you own. You can also download the materials to your own computer so you can keep them offline. With this program, you are learning a SYSTEM that you can re-use as many times as you like.